I love the Olympics, but some of the events are crazy. I want to know who came up with that double luge thing? Have you seen it? It is the luge event where one guy is laying on top of another on a small sled and going down an icy track at, I don’t know, 150 miles per hour or something like that. Do you think maybe a guy got his most vulnerable and needy friend and told him, Lay down on the sled and I am going to lay down on you and we are going for a ride? And when the friend objected he said, Don’t worry, it will be okay. You won’t be able to see a thing. And when the friend objected again he said, You can breathe again when it’s over. It won’t take long because we will go really fast and we will either crash or we will make it to the finish line. And the vulnerable, needy friend said, Okay, I will go. I kind of like the idea of going down this icy track with you. And after it’s over can we go get lunch, just you and me? Some crazy person came up with this event and now hundreds, maybe thousands of people participate in it, and millions watch it. That’s crazy! There is a fine line between crazy and courageous. God doesn’t call us to be crazy, but he does call us to be courageous even though courage may look a little crazy. Before the Israelites went into the promised land they were told by Moses and by God, “Be strong and courageous.” Over and over they were given this message because they were going to face some things that took courage. They were going to fight battles and fight their fears. They were going to face death, disease, and discomfort. They needed to be courageous to do what God told them to do. I have times in my life when I need to hear these same words, “Be strong and courageous and do the work…for the Lord God, my God, is with you.” When life feels overwhelming, be strong and courageous. When marriage gets hard and raising kids feels so frustrating, we need to hear these words. When life gets hard, when tragedy strikes, we need to remember that God has promised to always be with us. This Christian walk takes courage. It takes courage to love our enemies and care for those who don’t care for us. It takes courage to minister to people in our neighborhood, our city or even a foreign country. It takes courage to tell people about Jesus when we know they make think we are crazy. It takes courage to love like Jesus loved. Where is God calling you to be courageous? Do you need to face an issue with addiction or a destructive habit? Do you need to reach out and get help with something? Do you need to have a hard conversation? Do you need to begin doing something that God has called you to do? Do you need to step out of your comfort zone? What courageous thing do you need to do? To learn more about Peter check out my Bible study Called by Christ. Our ladies Bible class is studying your book about women touched by Jesus. We are all enjoying the study and feel so blessed by it. Sending out prayers for you. Please pray for my niece, Cathy. So glad you have enjoyed Changed by Jesus. I will be praying for your niece. God bless. Enjoyed the blog. It is really convicting. Our women’s class is almost finished with Touched by Jesus. We are studying Martha now. 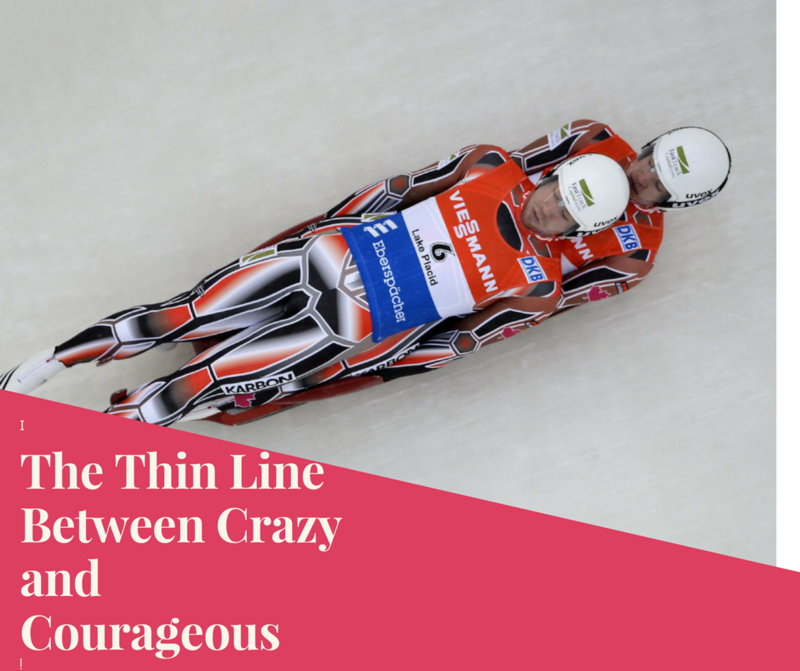 Yes there is a fine line between crazy and courageous. I believe Jesus protects us in courage but not in crazy. One of my favorite courageous person is Nehemiah. He had to organize the rebuilding of the wall wgen the enemy was constantly trying to distract him and the people had to build the wall with a hammer in one hand and a sword in the other. God protected them. Thanks Linda. There are so many courageous people in the Bible and Nehemiah is one of those. He left a comfortable life to do a very hard job.